Insurance is not included in the tour price. Credit cards are not accepted. Reservation one weeks in advance is requested. Tour guide Takashi confirms your application. Customers are requested to pay a guide fee in JPY cash at the end of a guide service. Takayama Festival Floats Exhibition Hall \900. Hidanosato village 700 yen, bus fares 420 yen. Lunch and personal expenses are not included. Customers are requested to pay a lunch for a guide. The tour starts at 9:00 a.m. and ends at 4:00 p.m.
We will meet at your hotel lobby at 8:50 a.m.
More than 1,300 years ago, skilled wood-craftsmen,called Hidano Takumi inhabited in the Hida region. In 1519, Lord Takayama ruled the Hida region, and built Tenjinyama Castle. Lord Takayama is the origin of the name " Takayama". It was around the close of the Warring States period when samurai warrior Nagachika Kanamori overthrew Lord Takayama, and started ruling the Hida region in 1585. Lord Kanamori spent 16 years to construct the castle, the samurai residence district, the temple district, and the merchant quarters. The town was designed reflecting Kyoto town planning. 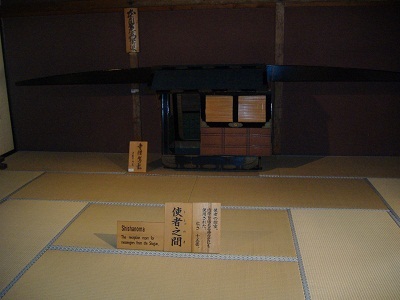 Lord Kanamori also supported cultural development such as the tea ceremony, and traditional crafts such as Shunkei lacquerware and porcelain. The Kanamori ruling lasted for 107 years. All of a sudden the Edo shougunate relocated the Kanamori to the Tohoku region in 1692, and governed the Hida region for 177 years until 1867. 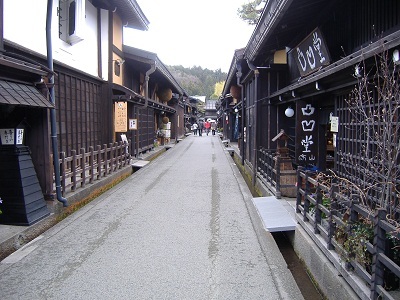 Since then Takayama flourished as a merchant town under the Edo government ruling. 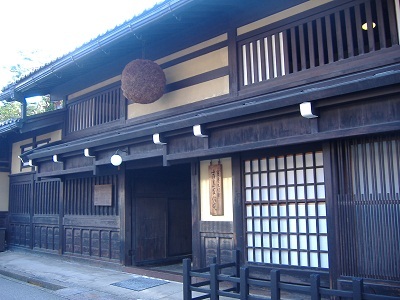 Merchant houses of the Edo period still remain today in Sannomachi and Shimoninomachi-Oshinmachi districts, which are designated the preservation districts for groups of traditional buildings. The latticework windows of merchant houses, which are painted black Bengara , are unique and impressive. 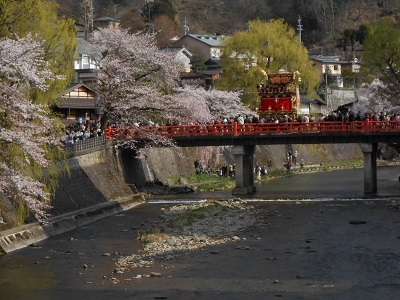 Takayama is also famous for its festival, one of the three most beautiful festivals in Japan. It takes place twice a year, the spring festival and the autumn festival. The spring festival proceeds on April 14 and 15 showing up 12 decorated floats. The autumn festival proceeds on October 9 and 10 showing up 11 decorated floats.